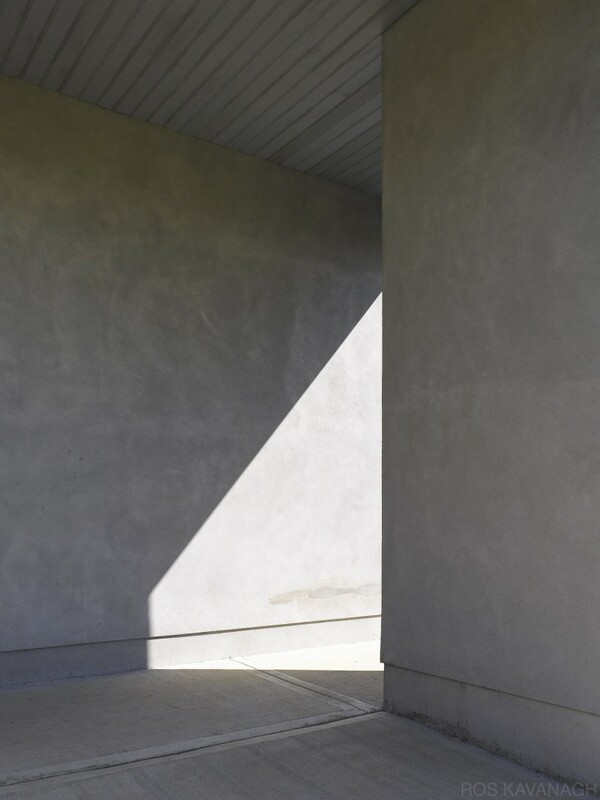 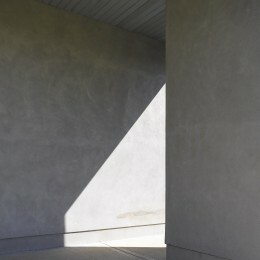 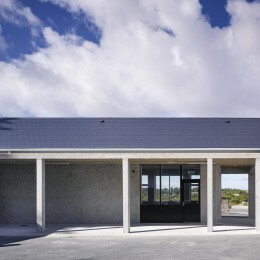 Rural Schools | Ros Kavanagh. 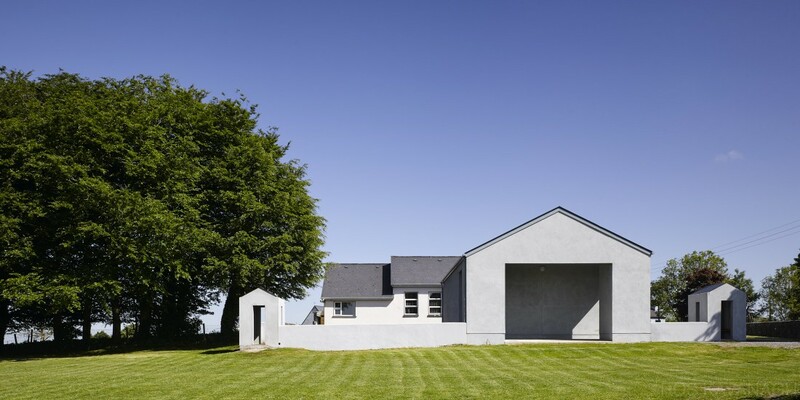 Located in the heart of connemara in Ros Muc. 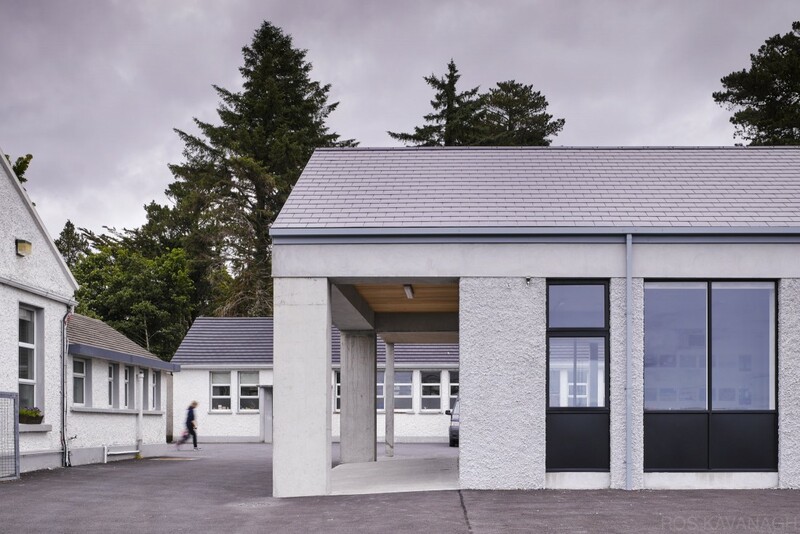 This project provides three new classrooms and three new shelters for a small rural secondary school on the west coast of Ireland. 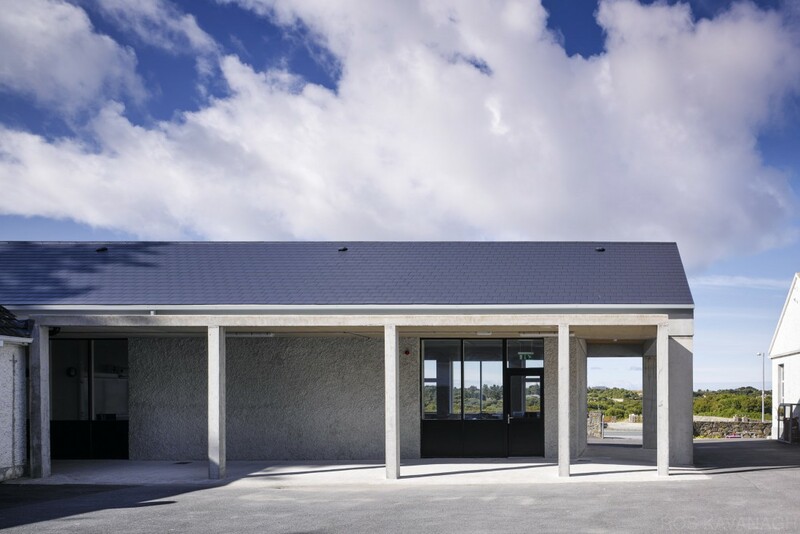 Externally, the shelters are intended as social areas to wait before and after school, or eat lunch. 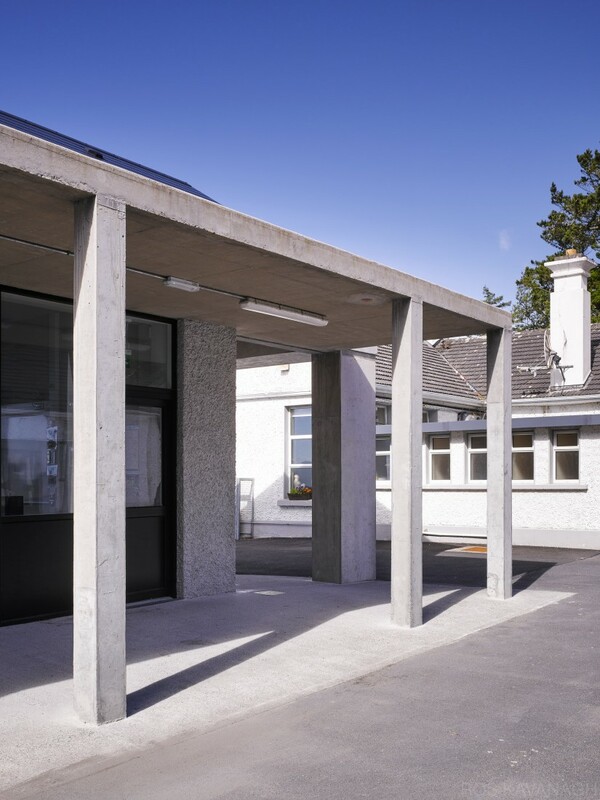 Internally, a folding wall allows the joining of two classrooms to provide the school with its only assembly room, which also serves as a meeting place for the local community. 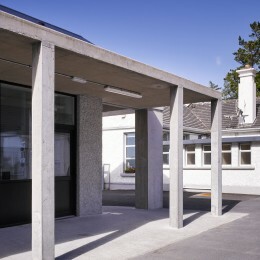 The extension is presented as a separate building set back from the line of the original school. 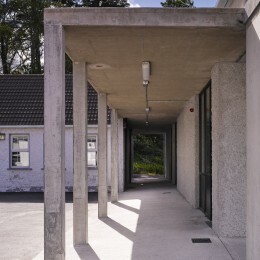 The new building forms a sheltered courtyard at the heart of the school. 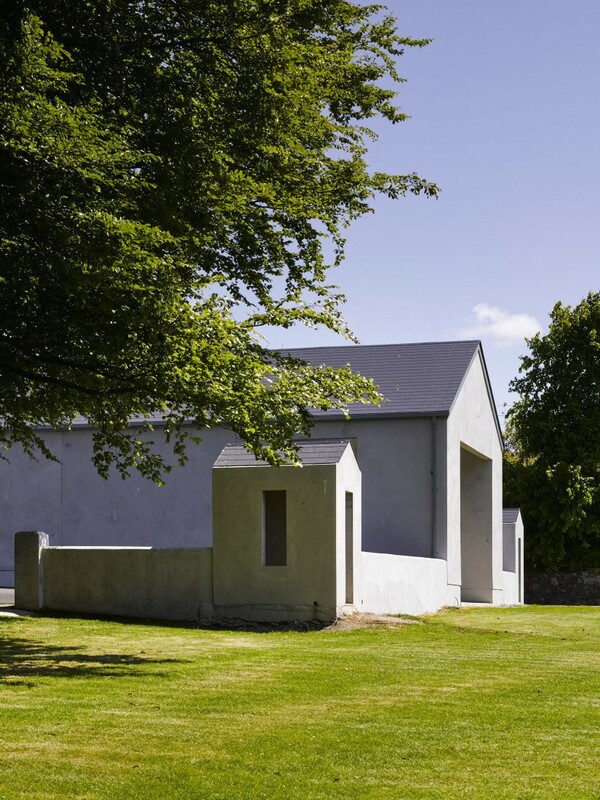 The project won Best Education Building at the 2017 RIAI (The Royal Institute of the Architects of Ireland) Awards. 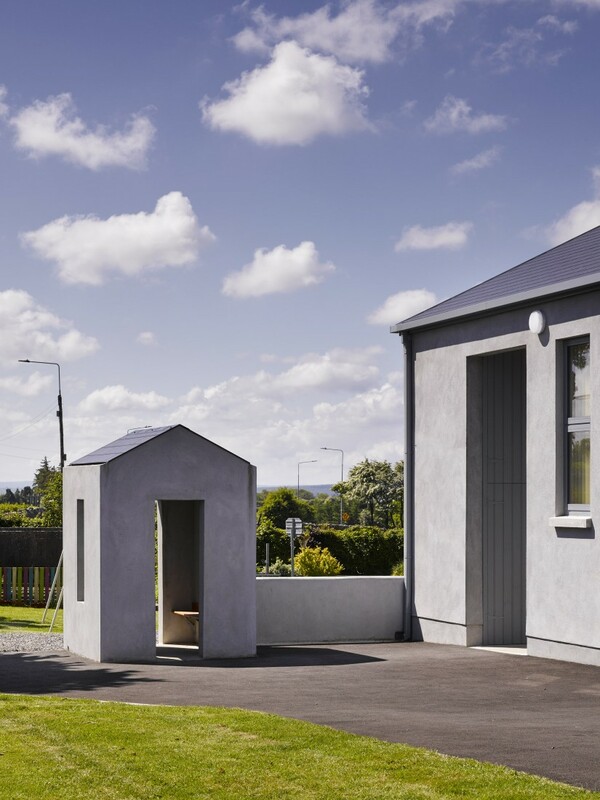 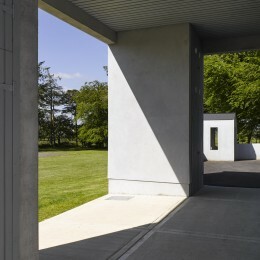 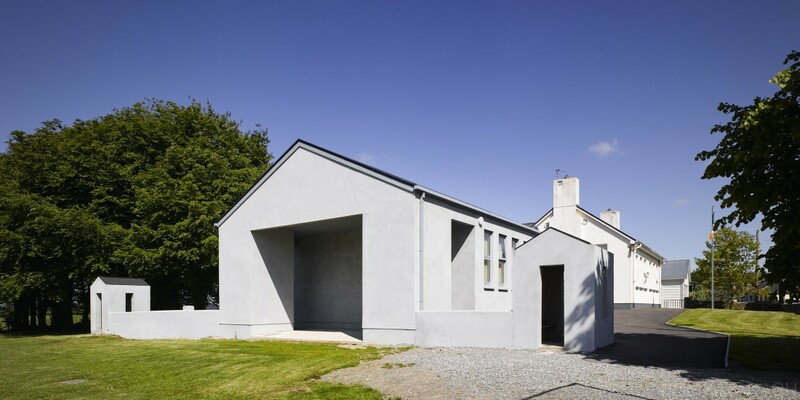 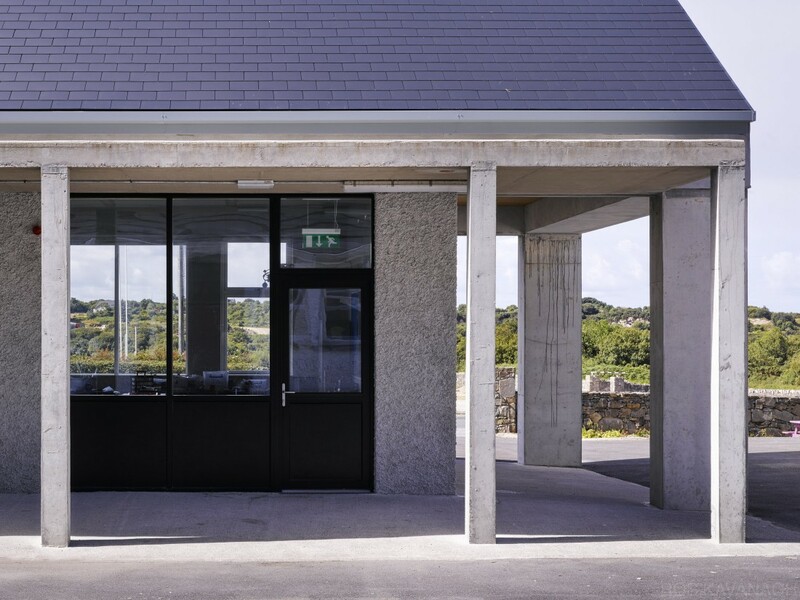 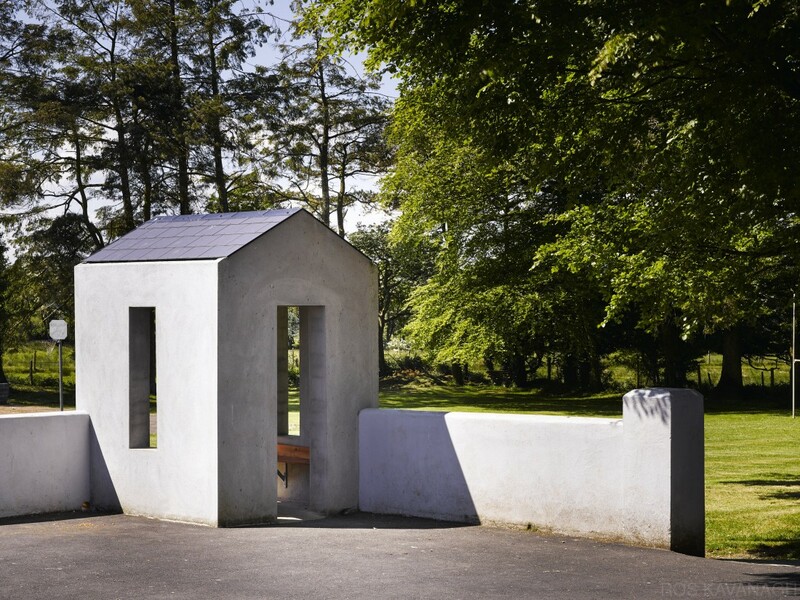 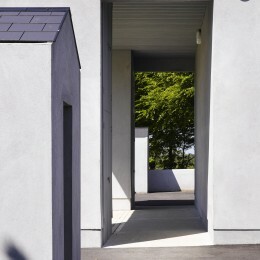 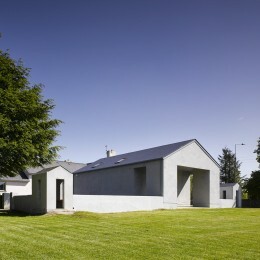 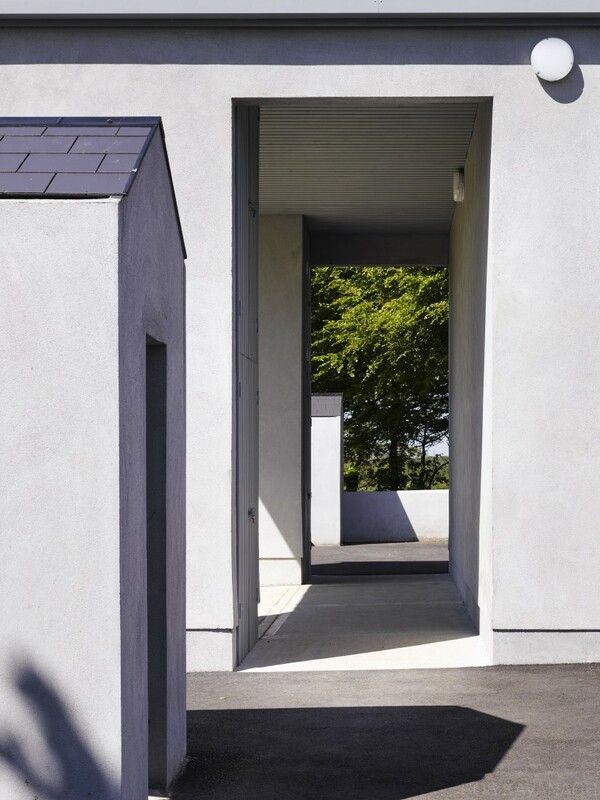 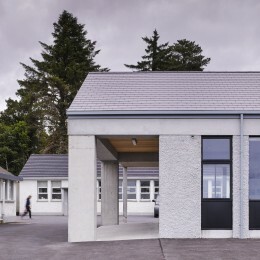 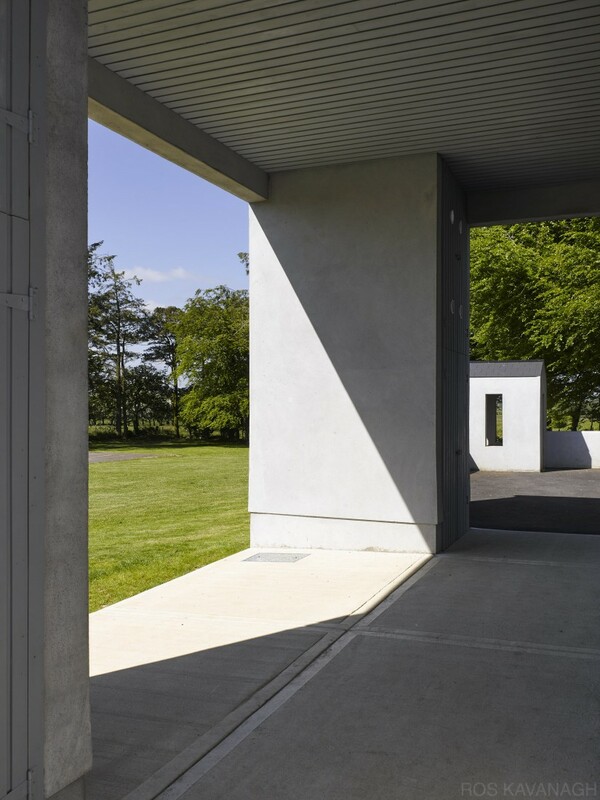 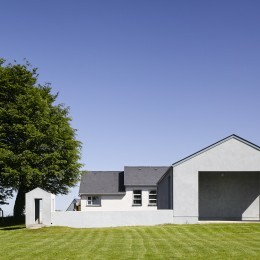 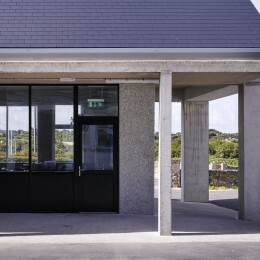 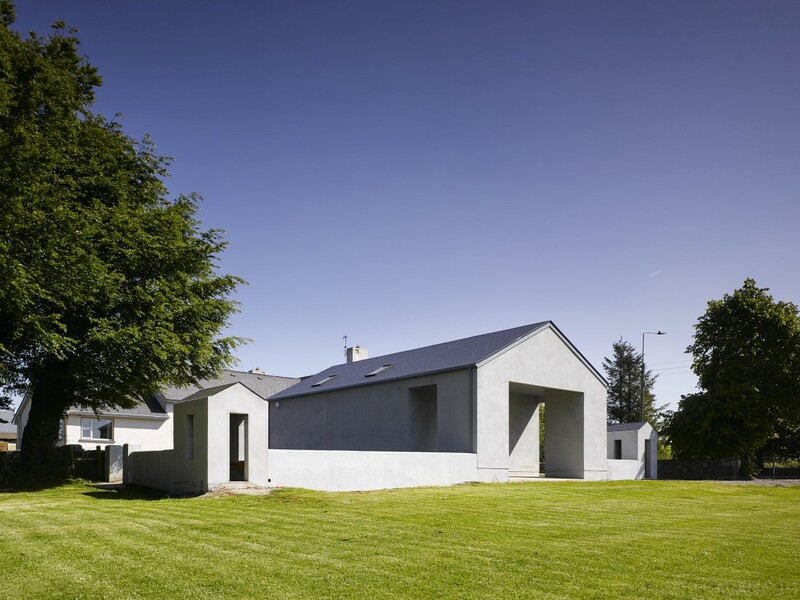 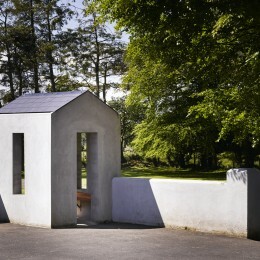 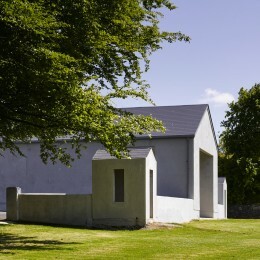 A spokesperson for the RIAI said, “The Jury welcomed the return of a strong Boyd Barrett type national school typology, applauding the project for apparent simplicity, skilfully designed with limited means. 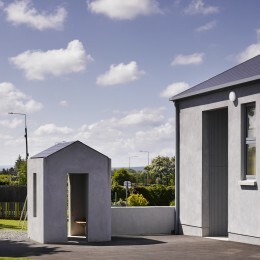 The scale is consistent and modest demonstrating skill with a restricted school budget. 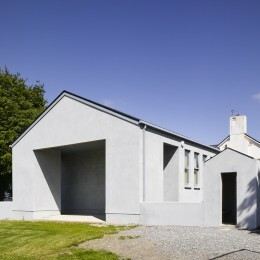 The Architectural language was admired for its appropriateness to child and adult alike. 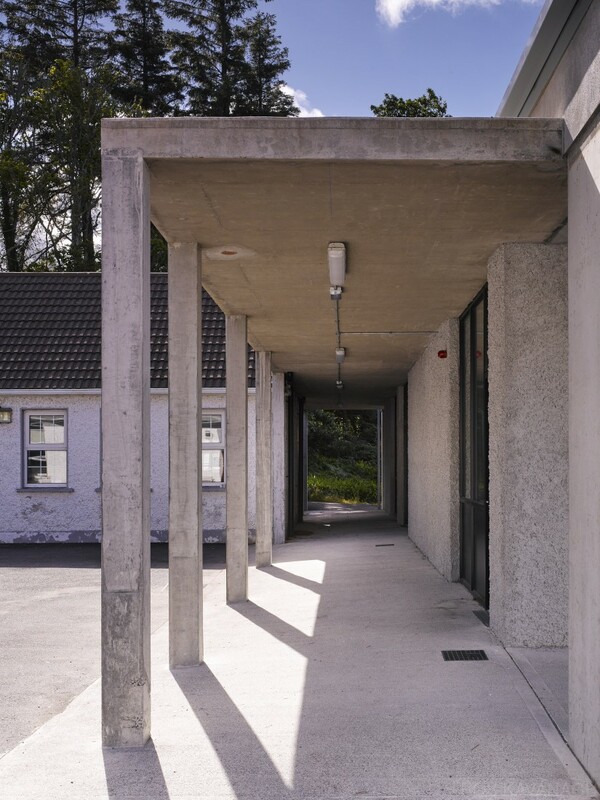 Space-making within the school site was an intrinsic part of the designs and contributes successfully to the scheme as a whole and its relationship with its context”.